AI or artificial intelligence is no more a buzzword that resonates in the IT industry alone. No more it’s a boring topic understood and discussed by technology scholars or so-called nerds on the television show. Rather, it is touching and inspiring lives, and transforming businesses like anything. We are to seek the answer to how AI is helping Coca Cola to transform its processes and, ultimately, add value to the customer experience (CX). With over 1000 brands of soft drinks including Diet Coke, Diet Coke Caffeine-Free, Coca-Cola Life, Afri-Cola and much more to its credit the company doesn’t need any introduction. Let’s see how the Coca Cola Company, a totally non-tech brand, is harnessing the untold potential of AI to drive growth in 200 plus countries. 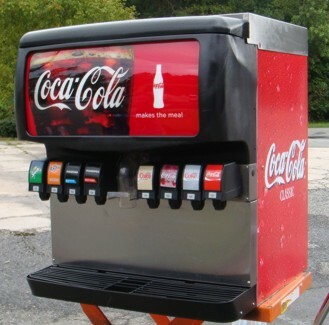 You might have come across this kind of self-service fountains or vending machines in restaurants or workplaces installed by Coca Cola or its partners. They allow consumers to choose and mix the flavors as per their taste. 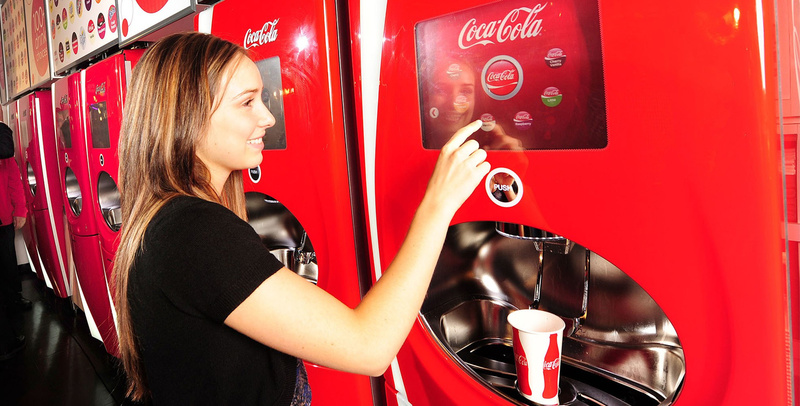 Coca Cola does a bit smart work by equipping its machines with chips or sensors that can read and collect data, and later decodes that mountain of data with AI to understand the choice of consumers. The insights help it to diversify and innovate its canned product lines. Cherry Sprite is one such product that has been ideated based on the intelligence gained through the vending machines. The company is also planning to make its vending machine more intelligent with AI bots like Alexa and Siri. So, next time when you step into a restaurant and happen to find any Coca-Cola machine, you must not forget to experiment and see how voice assistant works. Understanding that consumers are getting more conscious with regards to their health and fitness, and are abstaining from soda beverages to cope with lifestyle diseases like obesity, diabetes, etc., the company has swung into action to produce healthier options with less sugar, or little use of artificial colors and preservatives. The company boasts of its latest product lines including Minute Maid and Simply Orange as healthier products. Bernard Marr, a best-selling author & keynote speaker on technology, mentions in one of its columns on Forbes that Coca Cola has gone particularly about the origin and purity of the raw materials that it uses in their production. Wondering what role does the AI play here? Well, to ascertain the quality of raw materials (Orange in this case), the company makes use of AI to collect and decode data on weather (prevailing in the areas from where raw oranges are procured), crop yields, pricing, and sweetness ratings. All this helps the company or its bottling agencies to use quality raw materials and prepare healthy drinks. The maintenance team accountable for keeping bottling agencies under Coca-Cola up and running uses augmented reality (AR) to supervise, repair and maintain the equipment and the machinery involved. Technicians can virtually come into action to help their peers overcome any technical issues that might surface. So, the technology is not just helping the production team to deliver more, but also keep a check on the maintenance budget and avoid any unforeseen risks. In addition, technology has made it possible for the staff to oversee remote far off bottling plants. Imagine, you have a Facebook friend circle as large as 105 million and Twitter followers list as lengthy as 35 million. Wouldn’t it have been a tough job to listen to what friends or followers are talking about you, and see what they are doing, where they are, and so on. But, Coca-Cola knows what their Facebook fans and Twitter followers have to say about the products or the brand experience. It knows on what occasions they have ordered their products. It even knows what circumstances have led them to party or celebrate. Interestingly, it would have remained a distant dream had AI not been into the picture. Coca Cola effectively tracks everything that goes on social media and uses that insights to make its content marketing and advertising more effective. If what Adweek heard from Mariano Bosaz, the brand’s global senior digital director, takes it shape, soon you might come with Coca-Cola ad where AI chatbots will be playing the lead roles. Bosaz is quite optimistic about the implementation of AI. He foresees its usage in every space of content creation and marketing like creating music for ads, writing scripts, posting updates and buying media as Lauren Johnson records with Adweek. The talk of human-less creative shall not raise your eyebrows. The artificial intelligence is already being used by the companies like Jukedeck to compose music as Alex Marshall reports with the New York Times. They make use of tools like artificial neural networks that are similar to the brain in terms of functionality. AI is no more an alien’s technology that we used to see in sci-fi movies of Hollywood. It’s taking the center stage and the need of the hour is to utilize its capabilities appropriately to augment our business processes and transform the customer experience.